Marriage* 1860 Spouse: Gustav Traugott Immanuel Warmbrunn. VIC, Australia, #M1004. [S11] Newspaper - Argus 24 Jul 1928, p1. Land-Note* 7 Aug 1878 GEM-D-3: Sir, Referring to your letter of August the 2nd with not having complied with the conditions. I beg to state that I left all fencing to my brother who has the next block to me and having so much work on hand he has left me till the last. I have wrote to him to finish my work at once. 10 Aug 1887, BERWICK POLICE COURT, FRIDAY, August 5, 1887. Before Messers. F. Hare, P. M., Jas Wilson and Chas. Souter, J. 's P.
5 Aug 1903, Berwick Police Court. 27 May 1910, COACH STRIKES STUMP. BEACONSFIELD UPPER, Thursday. [par George SHORTHOUSE & Ann Margaret KEIGHERAN]. [S61] Upper Beaconsfield History Archive ,"from a family group sheet." [S9] Free BMD. Index. Online @ https://www.freebmd.org.uk/ "mother as KAIGHIN (https://www.gro.gov.uk)." [S61] Upper Beaconsfield History Archive ,"Information from Pamela J AMOS 17 Aug 1998." [S1] Registry of Births Deaths and Marriages Pioneer Index Victoria 1836-1888 "#M1293." [S61] Upper Beaconsfield History Archive ,"Information from Pamela J AMOS 17 Aug 1998. Needed permission to marry because she was under 21 years of age. This was given by her father who was in Australia. Parents Alfred THORNTON & unknown BAKER." 859/49 ALFRED GEORGE SHORTHOUSE GEMBROOK 2 D 19--2--16. 1877 - 1881. [S185] Property Titles. 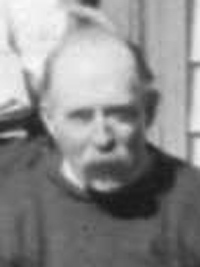 ; PROV (Public Records Office Victoria), C/T 1305-930 - Alfred George Shorthouse of Beaconsfield Farmer. [S81] Land Records, Parish Maps & Council Rate Books. ; PROV (Public Records Office Victoria), 854/49. [S81] Land Records, Parish Maps & Council Rate Books. ; PROV (Public Records Office Victoria), 859/49. [S185] Property Titles. ; PROV (Public Records Office Victoria), C/T 1305-930 - Mortgage - Alfred George Shorthouse to Joseph James Butler. Discharged 8 Jul 1882 when Universal Permanent Building and Investment Society took over. Joseph James BUTLER died 1909/13765 (Age 62) in Northcote [par Thos BUTLER & Mary Ann JAMES]. [S81] Land Records, Parish Maps & Council Rate Books. ; PROV (Public Records Office Victoria), Land File 13681/19.20 - would be Shorthouse senior as the land is marked on 1892 parish plan as A G Shorthouse, the son is only 17 years old at this time. [S185] Property Titles. ; PROV (Public Records Office Victoria), C/T 3039-747 - Alfred George Shorthouse of Beaconsfield Contractor. [S185] Property Titles. ; PROV (Public Records Office Victoria), C/T 1822-316 - Emma Shorthouse the wife of Alfred George Shorthouse of Beaconsfield. [S4] Registry of Births Deaths and Marriages Great War Index Victoria 1914-1920 "#D7595 age 64 [par Arthur THORNTON & Mary HOSKEN]." [S5] Registry of Births Deaths and Marriages Death Index Victoria 1921-1985 "#D8549 age 79 [par Alfred SHORTHOUSE & Georgina] - registered Berwick." [S11] Newspaper - Argus 29 Jul 1921 p1. [S83] Online index to the UK census "Class: HO107; Piece: 2175; Folio: 377; Page: 49; GSU roll: 87168." 4-448-A Shorthouse Alfred G. M 82 30/07/1921 670. [S194] Newspaper - Victorian Government Gazette "9 Jan 1880, p89." [S194] Newspaper - Victorian Government Gazette "16 Jan 1880, p142." [S194] Newspaper - Victorian Government Gazette "3 Sep 1880, p2208." [S194] Newspaper - Victorian Government Gazette "14 Jan 1881, p67." [S194] Newspaper - Victorian Government Gazette "28 Jan 1881, p234." [S194] Newspaper - Victorian Government Gazette "11 Feb 1881, p479." [S12] Newspaper - South Bourke and Mornington Journal 21 Nov 1883, p3. [S12] Newspaper - South Bourke and Mornington Journal 28 Nov 1883, p2. [S12] Newspaper - South Bourke and Mornington Journal 12 Dec 1883, p3. [S12] Newspaper - South Bourke and Mornington Journal 4 Jan 1888, p2. [S12] Newspaper - South Bourke and Mornington Journal 31 Jan 1900, p3. [S12] Newspaper - South Bourke and Mornington Journal 5 Aug 1903, p3. [S12] Newspaper - South Bourke and Mornington Journal 6 Jul 1904, p2. [S11] Newspaper - Argus 27 May 1910 p8. [S11] Newspaper - Argus The Argus (Melbourne, Vic. : 1848 - 1957), Mon 8 Jul 1918, p1. SHORTHOUSE. On the 2nd July, at her residence, Upper Beaconsfield, Emma, beloved wife of Alfred George, and mother of Alfred, Emily (Mrs. Winter), Arthur, Charlie, Robert, and Florrie Shorthouse, aged 64 years. SHORTHOUSE.- Friends of Mr. ALFRED G. SHORTHOUSE are respectfully invited to follow the remains of his beloved wife Emma to the place of interment, Berwick Cemetery. Probate (Will)* 6 Aug 1918 160/052. That the said deceased was married to Alfred George Shorthouse and that prior to her marriage with the said Alfred George Shorthouse she had moneys belonging to her and saved by her from her own earnings and she acquired both her real and personal estate out of her own moneys and by money received by her from her sons and daughters and also from moneys earned by her as a conveyor of passengers and carrying. That the said real estate stands in the name of the said deceased only. 14 Dec 1918, SATURDAY, DECEMBER 28. At Four O'Clock. On the Property. UPPER BEACONSFIELD. In the Estate of Emma Shorthouse, Deceased. 4 Jul 1919, SHORTHOUSE. In loving memory of our dear mother, Emma Shorthouse, who died at Beaconsfield Upper on the 2nd July, 1918. If we could have our greatest wish fulfilled, Or choose front Heaven whatever we willed; Of nil earth's treasures, and Heaven's, too, Mother, darling, we would usk for you. [S16] Newspaper - The Age The Age (Melbourne, Vic. : 1854 - 1954), Sat 27 Apr 1895, p3. [S185] Property Titles. ; PROV (Public Records Office Victoria), C/T 2644-622 - Emma Shorthouse the wife of Alfred George Shorthouse of Upper Beaconsfield - C/T 2879-675. [S185] Property Titles. ; PROV (Public Records Office Victoria), C/T 2136-114 - Emma Shorthouse of Beaconsfield Upper Married Woman. [S185] Property Titles. ; PROV (Public Records Office Victoria), C/T 2644-622 - Emma Shorthouse of Upper Beaconsfield Married Woman - C/T 3509-673. [S185] Property Titles. ; PROV (Public Records Office Victoria), C/T 1822-316 - Alfred George Shorthouse the Younger of Upper Beaconsfield Labourer - C/T 3909-722. [S185] Property Titles. ; PROV (Public Records Office Victoria), C/T 3509-673 - Florence May Shorthouse of Upper Beaconsfield Spinster - C/T 3921-062 (consolidated title including lots 5.18). [S185] Property Titles. ; PROV (Public Records Office Victoria), C/T 2136-114 - Florence May Shorthouse of Upper Beaconsfield Spinster - C/T 3921-062 (consolidated title including lots 6.17). [S11] Newspaper - Argus 3 July 1918 p1. [S185] Property Titles. ; PROV (Public Records Office Victoria), C/T 3287-381 + C/T 1822-316 - Emma Shorthouse died on the 2nd day of July 1918. Probate of her will has been granted to Christopher Arthur Griffith of Berwick Medical Practitioner. [S185] Property Titles. ; PROV (Public Records Office Victoria), C/T 3509-673 - Sarah Watt of Atherton Road Oakleigh Married Woman - C/T 4192-206. [S185] Property Titles. ; PROV (Public Records Office Victoria), C/T 1822-316 - Alice Emily Brown - C/T 4208-432 (transfer 887459). [S185] Property Titles. ; PROV (Public Records Office Victoria), C/T 1822-316 - Alice Emily Brown - C/T 4219-611 (transfer 891767). [S185] Property Titles. ; PROV (Public Records Office Victoria), C/T 3287-381 - Christopher Arthur Griffith (as executor of probate) to Arthur William Shorthouse of Upper Beaconsfield Carrier. [S185] Property Titles. 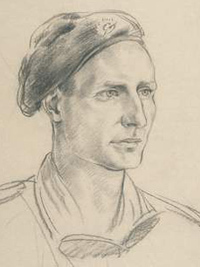 ; PROV (Public Records Office Victoria), C/T 2879-675 - George Hodges Knox of Yuulong Upper Beaconsfield Colonel in the Australian Military Forces. [S185] Property Titles. ; PROV (Public Records Office Victoria), C/T 1822-316 - Arthur William Shorthouse of Upper Beaconsfield Coach Driver - C/T 4432-358. [S16] Newspaper - The Age The Age (Melbourne, Vic. : 1854 - 1954), Mon 20 Aug 1906, p1. [S11] Newspaper - Argus 5 Jul 1918, p4. [S14] Newspaper - Weekly Times, 13 Jul 1918, p24. [S11] Newspaper - Argus 4 July 1919. 6 Mar 1923, A. G. SHORTHOUSE, Farrier & General Blacksmith, DARNUM. [S35] Probate Records, PROV (Public Records Office Victoria), VPRS 28/P4, unit 2339; VPRS 7591/P3, unit 376. [S1] Registry of Births Deaths and Marriages Pioneer Index Victoria 1836-1888 "#B7291." [S61] Upper Beaconsfield History Archive ,"Liz WALFORD information - marriage certificate has parents as Alfred Henry SKINNER (Clerk in Holy Orders) and Catherine HUSTLER." [S185] Property Titles. ; PROV (Public Records Office Victoria), C/T 1123-401 - The City of Melbourne Bank Limited to Alfred George Shorthouse the younger of Upper Beaconsfield orchardist. [S185] Property Titles. ; PROV (Public Records Office Victoria), C/T 1123-401 - Mortage No 283927 - Alexander Fraser Thomas Robert Burrows James Robert Thear and Jonathan Edward Pittock - discharged 8 Sep 1920. [S185] Property Titles. ; PROV (Public Records Office Victoria), C/T 3909-722 - Alexander Fraser, James Robert Thear, Walter Lawson Appleby - discharged 6 Oct 1919 - Mortgage No 355717. [S185] Property Titles. ; PROV (Public Records Office Victoria), C/T 1123-401 - Mortage No 363489 - Alexander Fraser, James Robert Thear, Walter Lawson Appleby and Ernest Charles Melhuish - discharged 8 Sep 1920. [S185] Property Titles. ; PROV (Public Records Office Victoria), C/T 3909-722 - Alexander Fraser, James Robert Thear, Walter Lawson Appleby and Ernest Charles Melhuish - discharged 6 Oct 1919. Mortgage No 385704. [S185] Property Titles. ; PROV (Public Records Office Victoria), C/T 3909-722 - Alice Emily Brown of Upper Beaconsfield Married Woman. [S61] Upper Beaconsfield History Archive ,"Liz WALFORD - viewed marriage certificate." DODONAEA, COLONNADE NICHE, COLONNADE 4 SECTION N NICHE 81. [S12] Newspaper - South Bourke and Mornington Journal 7 Jul 1909, p2. [S14] Newspaper - West Gippsland Gazette, 6 Mar 1923, p4. [S14] Newspaper - West Gippsland Gazette (Warragul, Vic. : 1898 - 1930), Tue 29 Nov 1921, p3. [S1] Registry of Births Deaths and Marriages Pioneer Index Victoria 1836-1888 "#B24378." [S3] Registry of Births Deaths and Marriages Edwardian Index Victoria 1902-1913 "#M440 (born Richmond)." [S1] Registry of Births Deaths and Marriages Pioneer Index Victoria 1836-1888 "#D9776 age 5M." Note* 2 Sep 1903 Declared in relation to John LARKIN's probate (Affidavit of Surety): Arthur William Shorthouse of Manuka Park, Berwick, dealer in Stock. Note bt 1912 - 1920 Owned 'Rosemont' and operated his business out of there. Note c 1933 Later Boss obtained a job at Noojee timber mill, and would ride there and back each week. Lysle: Both Boss and Arthur worked at Stoll's timber mill - looking at the distance now he thinks that they might have come home monthly rather than weekly - Lysle was only 6 years old at the time. 16 Jun 1926, TO GARAGE PROPRIETORS, CARTAGE CONTRACTORS, CARRIERS, and OTHERS - ASSIGNED ESTATE OF A. W. SHORTHOUSE, General Carrier, Upper Beaconsfield. TENDERS, addressed to the undersigned, are invited for the Purchase of Live Stock, Plant, and Rolling Stock, Motor-cars, and other assets, as shown below, as a going concern, or in separate lots, of Arthur William Shorthouse, carrying on business of a general carrier, garage proprietor, and cartage contractor, at Upper Beaconsfield. The business is temporarily being carried on by the trustee. Stock-sheets may be inspected at our office, where Tender Forms and orders to inspect may be obtained. The highest or any tender will not necessarily be accepted. Tenders, accompanied by deposit of 10 per cent., close at 12 noon on Thursday, 24th June, 1926. 22 Jul 1926, CLEARING SALE. BEACONSFIELD UPPER. FRIDAY, JULY 30, 1926. Joseph Clarke & Co. Have received instructions from Messrs. W. B. BENNETT & CO., Public Accountants, 47 Queen Street, Melbourne, in the Assigned Estate of A. W. Shorthouse, to sell by public auction at one o’clock sharp, at Upper Beaconsfield. 2 6-cylinder NASH MOTOR CARS. Set Blocks and Endless Chain, Jack, 2 Cycles, Air Pump, Bench, Anvil, Blower, Bolt Cutter, Stock and Dies, in case; Sundry Blacksmith's Tools, 2 cases (tool), and 2 Benches; Writing Desk, Double Disk Plough, 2 Light Ploughs, 2 Harrows. [S81] Land Records, Parish Maps & Council Rate Books. ; PROV (Public Records Office Victoria), VPRS 5357/P0 unit 4857, item 998/46. [S35] Probate Records, PROV (Public Records Office Victoria), VPRS 28/P4, unit 1707; VPRS 7591/P3, unit 236. [S1] Registry of Births Deaths and Marriages Pioneer Index Victoria 1836-1888 "#B20544." [S223] Original death certificate of Amy KNUDSON, 18 Jun 1900. [S3] Registry of Births Deaths and Marriages Edwardian Index Victoria 1902-1913 "#M5897." [S11] Newspaper - Argus 13 Nov 1902, p1. [S35] Probate Records, PROV (Public Records Office Victoria), John LARKIN. 89/578. Farmer. [S185] Property Titles. ; PROV (Public Records Office Victoria), C/T 1926-123 - Arthur William Shorthouse of Upper Beaconsfield Cab Proprietor - transfer from the above named Edward Tweddell. [S185] Property Titles. ; PROV (Public Records Office Victoria), C/T 1926-123 - Mortgage No 396166 - discharged 11 Dec 1920. [S185] Property Titles. ; PROV (Public Records Office Victoria), C/T 1926-123 - James McDonnell of Upper Beaconsfield Gentleman. [S185] Property Titles. ; PROV (Public Records Office Victoria), C/T 4432-358 - The Commissioners of the State Savings Bank of Victoria Mortgage No 422070 - discharged 21 Apr 1928. [S185] Property Titles. ; PROV (Public Records Office Victoria), C/T 2097-397 - Arthur William Shorthouse to Frederick Funnell of Upper Beaconsfield Orchardist. [S185] Property Titles. ; PROV (Public Records Office Victoria), C/T 4432-358 - Alexander Rushall of 21 Queen Street Melbourne Gentleman. [S35] Probate Records, PROV (Public Records Office Victoria), VPRS 28/P3, unit 1746; VPRS 7591/P2, unit 753. [S61] Upper Beaconsfield History Archive ,"Information from Pamela J AMOS 17 Aug 1998. Pamela remembers the farm, and the enjoyment she shared with her sister Bunty and Lysle and Barbara." [S5] Registry of Births Deaths and Marriages Death Index Victoria 1921-1985 "#D23504 age 77 [par John HEDRICK & Agnes BRYDEN]." [S5] Registry of Births Deaths and Marriages Death Index Victoria 1921-1985 "#D27827 age 80 [par Charles & unknown]." [S14] Newspaper - Healesville and Yarra Glen Guardian, 26 Nov 1904, p2. [S19] Newspaper - Berwick Shire News and Pakenham and Cranbourne Gazette "25 Mar 1914, p2." [S12] Newspaper - South Bourke and Mornington Journal 9 Jul 1914, p4. [S12] Newspaper - South Bourke and Mornington Journal 29 Aug 1918, p3. [S12] Newspaper - South Bourke and Mornington Journal 26 Sep 1918, p3. [S11] Newspaper - Argus 16 Jun 1926 p3. [S12] Newspaper - South Bourke and Mornington Journal South Bourke and Mornington Journal (Richmond, Vic. : 1877 - 1920; 1926 - 1927), Thu 22 Jul 1926, p4. Note 1903 Declared in relation to John LARKIN's probate (Affidavit of Surety): Charles Edgar SHORTHOUSE of Upper Beaconsfield, dealer. 22 Jun 1912, Domestic Differences. At the Prahran Court on Monday, before Mr Curwen-Walker (chairman), Messrs Hutton, M'Kinnon and Captain Panter, J's.P., Annie Shorthouse, charged her husband, C. E. Shorthouse, with leaving her without adequate means of support. The defendant did not appear. Mrs Shorthouse, who was represented by Mr Nigan, stated that she was married in August of last year. Last month she only received 26/- from her husband, and for the previous month 27/-. The house she was living in was the property of her former husband. The Bench made an order against defendant for the payment of £1 per week, with one surety of £25 ; costs, £1/3/6. Mrs Shorthouse also asked that defendant be bound over to keep the peace. She also detailed occasions when, she alleged, he had assaulted her. Charles Armstrong, a neighbour, also alleged in stances of assaults by defendant on his (defendant's) wife. 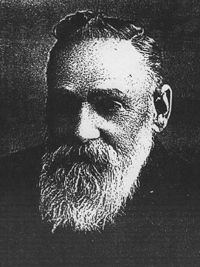 27 Jun 1912, Charles Edgar Shorthouse.—A warrant of commitment has been issued by the Prahran Bench against Charles Edgar Shorthouse for imprisonment, in default of not finding surety of £25 to comply with an order of maintenance to pay 20s. weekly for the support of his wife. 10 Aug 1918, SLIPPERY SHORTHOUSE. ANNIE AFTER HIM AGAIN FOR ARREARS. "Pay Up, or Prison," is the Bench's Pronouncement. At the Prahran Court on Monday, before Messrs. F. A. Sargeant (chairman), S. Bangs, H. Lavery, and J. G. Cooke, Js.P., a case with some rather peculiar features was heard, the complainant being Annie Shorthouse, of Highbury-grove, East Prahran, and the defendant her husband, Charles Henry Shorthouse, whose address was given on the summons as Upper Beaconsfield, or Bendigo, and who was sued for £29 12s. 10d., arrears of maintenance up to July 8, 1918. Mr. Nigan, who appeared for the complainant, said the defendant was a veterinary surgeon, and well known in the country districts. The summons was served on him in Bendigo. Mr. Abrahams, for defendant, said that his client disputed the claim on the grounds that, since the order was made, the parties had been living together as man and wife, and that thefefore, the order lapsed. The complainant said that on June 17, 1912, an order was made by the Prahran Court for defendant to pay her £1 per week maintenance. He obeyed the order for some time; but then fell into arrears, and on July 19, 1915, she sued him for £41 10s. arrears. An order was made for that amount, in default imprisonment until it was paid. The defendant then enlisted, and APPEALED AGAINST THE ORDER, but the Court of General Sessions ordered him to pay for her maintenance out of his military pay, and if he did not do so, the appeal was to be struck out. Witness received military pay from defendant up to February, 1916, when he was discharged from the forces. Since then she had received the money very irregularly, and on July 6 the sum of £29 12s. 10d. was due. To Mr. Abrahams: Witness lived in a five roomed house in East Prahran with her two daughters by a former marriage. Her mother also lived at the house. Defendant was in the habit of coming home under the influence of drink; but she never at any time, since the order was made, occupied the same room with him. If he came into her bedroom she left it, and slept on a couch in another room. Defendant, on oath, described himself as a horse dealer. He also attended horses suffering from dental troubles. At the present time he was living at the Terminus Hotel at Bendigo. He returned to live with his wife in July, 1917, and since that date had occupied the same bed with her on several occasions. When the front bedroom was occupied by his wife's mother, he slept in a single bed with his wife. COHABITED WITH HIS WIFE, and on that occasion the Bench did not believe him. He could not say what his earnings were as a horse dealer; but they did not exceed £2 5s. per week. He was not a veterinary surgeon, and did not claim to be one. He could not say what his earnings were for attending to horses' teeth troubles. William Edward Rance said that he remembered calling at Shorthouse's house at a quarter to seven one morning and saw Mrs. Shorthouse. Witness asked her to call her husband, and she told him to go into the bedroom where Shorthouse was in bed. To Mr. Nigan: Witness could not say whether Mrs. Shorthouse occupied the same bed that night. Edward William Tucker said that between January and April, 1917, he called for defendant one morning, and knocked at the window. Mrs. Shortbouse asked who was there. Witness told her, and she called out "Get up, Shorty; Rance and Tucker are here for you." Mr. Nigan: Do you say that defendant slept in the same bed as his wife that night? The Chairman said that the Bench did not believe a word that defendant had sworn. Defendant had been before them on several occasions, and given the same evidence. The Bench did not believe him on this occasion, and would make an order for the amount claimed: in default, imprisonment till it was paid. Mr Abrahams asked for time. Mr. Nigan objected. The defendant was a slippery customer, and if time was allow ed it would be difficult to locate him. [S1] Registry of Births Deaths and Marriages Pioneer Index Victoria 1836-1888 "#B20978." [S25] School Records - Beaconsfield North 2560: Guardian Alfred Shorthouse, storekeeper. [S3] Registry of Births Deaths and Marriages Edwardian Index Victoria 1902-1913 "#M7419." [S5] Registry of Births Deaths and Marriages Death Index Victoria 1921-1985 "#D13726 age 70." [S14] Newspaper - Malvern Standard, 22 Jun 1912, p4. [S14] Newspaper - Victoria Police Gazette, 27 Jun 1912, p28. [S14] Newspaper - Prahran Chronicle (Vic. : 1894 - 1906; 1914 - 1918), Sat 24 Jul 1915, p5. [S14] Newspaper - Truth (Melbourne ed.) (Vic. : 1914 - 1918), Sat 10 Aug 1918, p2. Sat. October 5 1901. "It is almost time to walk up to the cricket ground. We have transferred our matches from Shorthouse's paddock to the recreation ground, which we bought from Mr Priestley. This morning I have been driving one of Dad's drags down to the station at Beaconsfield to pick up passengers who are staying at Salisbury House for the weekend. It looks like a really busy weekend for the local guest houses as over two hundred folk from Melbourne arrived on the two trains. The road is not in very good condition though and a couple of old folk were almost jolted out of the cart by a wheel rut. Cricket starts at 3.00pm and I have put on my club tie to wear with my other cricket clothes. I'm really looking forward to playing against the Cardinia Creekers from down the hill. We had a visit from Hugh Trumble last week so the chaps are really keen. Hugh recently took a hat trick for Australia (as they are now called after all the states combined). The test was against England of course. Our club has been going for eight years now since being formed for the first time. The fellows enjoy playing in the Berwick and Dandenong Cricket Association, which was formed for the first time two years ago. We have agreed to arrive-early today as we have to pull out a lot of bayonet grass before we can play, to make the ground smoother. My bowling hand will be a little the worse for wear after that effort. Dad (Bert) is opening the innings today with Hans Glismann. They have formed a great opening partnership despite being a lot older than the rest of us and Hans' knees aren't much good any more -he knows how to turn an easy three into a risky single. We have fourteen players registered but are struggling to field a team today because of the number of Melbournites visiting the Village for the weekend. Spring turns Upper Beaconsfield into a virtual haven as people come up here to enjoy the rarefied air which is supposed to be good for your lungs. There are pretty walks in the fern gullies below Salisbury House which are very popular. Well I'd better pack my bat and pick up the plate of scones with jam and cream for afternoon tea otherwise I'll be late. The Cardinia Creekers will be a pushover so I don't want to miss the fun." [S35] Probate Records, PROV (Public Records Office Victoria), VPRS 28/P3, unit 3419. [S1] Registry of Births Deaths and Marriages Pioneer Index Victoria 1836-1888 "#B8665." [S3] Registry of Births Deaths and Marriages Edwardian Index Victoria 1902-1913 "#M3823." [S11] Newspaper - Argus 30 Sep 1940 p4. [S15] Newspaper - Village Bell "Issue 140, Jun/Jul 2001, p12 by Rob Hansen." [S1] Registry of Births Deaths and Marriages Pioneer Index Victoria 1836-1888 "#D11108 age 5M." Death-Notice* 21 Oct 1941 MULLENS.—On October 20, at Warrandyte, Florence Amy, the dearly loved wife of John Mullens. At rest. [S1] Registry of Births Deaths and Marriages Pioneer Index Victoria 1836-1888 "#B26513." [S185] Property Titles. ; PROV (Public Records Office Victoria), C/T 3921-062 - Lucie Dupont of Toorak Road South Yarra Married Woman - C/T 4236-152. [S22] Victorian Government. BDM Index Victoria (online) "as HARGREAVES." [S16] Newspaper - The Age 21 Oct 1941, p1. [S14] Newspaper - West Australian, 12 Aug 1937, p3. [S14] Newspaper - West Australian, 14 Aug 1937, p14. [S61] Upper Beaconsfield History Archive ,"Liz WALFORD information." VPRS 7591/P0002 unit 612, item 167/687. [S11] Newspaper - Argus 13 May 1921 p1. [S38] Index of burials in the cemetery of http://austcemindex.com/inscription?id=9816360,. [S1] Registry of Births Deaths and Marriages Pioneer Index Victoria 1836-1888 "#B15569." [S11] Newspaper - Argus Geelong Advertiser, 12 Aug 1865, p2. [S11] Newspaper - Argus The Argus (Melbourne, Vic. : 1848 - 1957), Wed 17 Dec 1947, p15. [S11] Newspaper - Argus 16 Dec 1948 p14. VPRS 28/P3 unit 1490, item 198/844. [S1] Registry of Births Deaths and Marriages Pioneer Index Victoria 1836-1888 "reg WYND." [S11] Newspaper - Argus The Argus (Melbourne, Vic. : 1848 - 1957), Wed 20 Oct 1954, p16. Death-Notice* 10 Jul 1956 SHORTHOUSE. 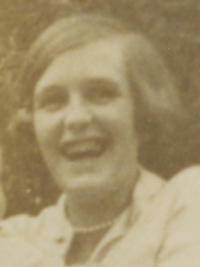 - On July 8 (suddenly), at Warragul, Marion, of Brandy Creek road, Warragul, beloved wife of the late Bert Shorthouse, loving mother of Mavis, mother-in-law of Frank, loved nana of Ken, Bert, and Alan. [S5] Registry of Births Deaths and Marriages Death Index Victoria 1921-1985 "#D22110 age 80 [par unknown]." [S11] Newspaper - Argus 10 Jul 1956, p12. [S3] Registry of Births Deaths and Marriages Edwardian Index Victoria 1902-1913 "#B17715." [S31] IGI "Member submitted record - gives birth date as 17 Feb 1913." [S31] IGI "Batch 0960857 - Member submitted record." [S31] IGI "Member submitted record." [S3] Registry of Births Deaths and Marriages Edwardian Index Victoria 1902-1913 "#B9219." [S61] Upper Beaconsfield History Archive ,"Liz WALFORD information - gives birthdate & place Beaconsfield." [S61] Upper Beaconsfield History Archive ,"Liz WALFORD (Harkaway) information." [S3] Registry of Births Deaths and Marriages Edwardian Index Victoria 1902-1913 "#B916." [S35] Probate Records, PROV (Public Records Office Victoria), VPRS 28/P23, unit 358. [S38] Index of burials in the cemetery of ,. [S3] Registry of Births Deaths and Marriages Edwardian Index Victoria 1902-1913 "#B11165." [S11] Newspaper - Argus 25 Nov 1933 p27. [S22] Victorian Government. BDM Index Victoria (online) "as Bryden Amy." [S6] Registry of Births Deaths and Marriages Marriage Index Victoria 1921-1942 "#M3694." [S5] Registry of Births Deaths and Marriages Death Index Victoria 1921-1985 "#D19532 (Age 65) [par Dougald McMILLAN & Mary JAMIESON]." [S11] Newspaper - Argus 16 Jan 1926, p19. [S3] Registry of Births Deaths and Marriages Edwardian Index Victoria 1902-1913 "#B26205 (as Arthur Hendrick)." [S38] Index of burials in the cemetery of http://www.interment.net/data/aus/qld/maroochy/namlaw/…,. [S101] Electoral Roll for Australia, 1903 - 1980 "1930 electoral roll Berrigan NSW." 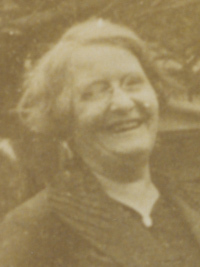 Shorthouse, Helma Florence, d. 15-6-1982, Age/Birth:1914,. 5 Jan 1929, MANY MEET DEATH Tragic Accidents - SYDNEY, Tonight. Death has stalked abroad during the past 36 hours. Following the loss of three lives in the gale on Friday night there were two tragic accidents today. Trapped in a hail of broken glass and splintered woodwork, two persons were killed when two motor cars met in a terrific crash on Parramatta road, Flemtington. Ten other passengers in the cars were taken to hospital. Crashing into a telegraph pole at Lawson, a motor bus, bound to Sydney from Katoomba, was badly damaged. Two women were hurled through the windscreen and killed, and many others, were injured. A party of mourners bound for Rookwood Crematorium met death when close to their destination. Mrs. Alice Gay, an aged woman, died practically under the signpost directing motorists to the crematorium. 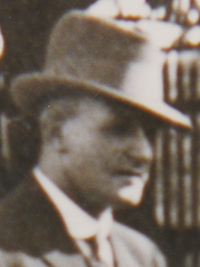 A car driven by Mr. Norton Shorthouse was proceeding along Parramatta road from Sydney, and a second car, driven by Mr. Charles Gay, was bound from Parramatta for Rookwood Cemetery. Shorthouse had with him Mr. Frederick Perkins and his daughter and son, and Mr. William Healey and his daughter. In Gay's car were his mother and sister, Mrs. Brindley, and her daughter. Mr. Gay was about to turn into Marlborough street, and according to witnesses he gave a signal while he was turning. A new car driven by Mr. Shorthouse crashed into him side on. The crash was terrific and was heard half a mile away. Mrs. Gay and her son received a shower of glass from the windscreen, and Mrs. Gay immediately collapsed unconscious. Her neck and skull were fractured. 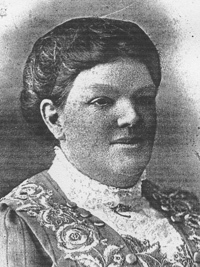 KILLED Mrs. Alice Gay (aged 61 years), of New York street. Granvilie — fractured skull and broken neck. Thelma Healey (aged three years), 32 O'Halloran street, Lilyfield — fractured skull. INJURED Norton Shorthouse (aged 21 years), of Lenark House, Darlinghurst road, Darlinghurst — concussion, shock, lacerations to head and left hand. Betty Brindley (aged eight years), High street, Harris Park— shock, admitted to hospital for observation. Mrs. Sylvia Brindley (aged 39 years), High street, Harris Park — shock, admitted to hospital. Doris Gay (aged 12 years), New York street, Granville-shock, admitted to hos pital. 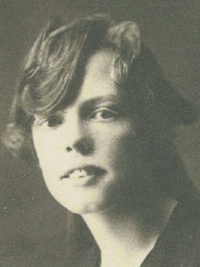 Ailsa Perkins (aged 12 years). Pretoria street, Leichhardt — shock and lacerated head, admitted to hospital. Kenneth Perkins, Pretoria street, Leichhardt-abrasions to head and hands. Frederick Perkins (aged 36 years), Pretoria street, Leichhardt-lacerated fore head and concussion to right forearm. Charles Gay (aged 19 years), New York street, Granville (driver of the second car)-lacerations and shock. [S3] Registry of Births Deaths and Marriages Edwardian Index Victoria 1902-1913 "#B24367." [S80] Ancestry - Family Tree, Strauss Family 2012-05-29 - Owner: johstra. [S22] Victorian Government. BDM Index Victoria (online) "as Jean Adrina McPHERSON." CASSIA, WALL NICHE DUAL/SINGLE, WALL AH NICHE 106. [S22] Victorian Government. BDM Index Victoria (online) "#D18120 birthplace Beaconsfield." [S14] Newspaper - The Mail (Adelaide) 5 January 1929 p3. [S31] IGI "LDS Member submitted record 471829." [S1] Registry of Births Deaths and Marriages Pioneer Index Victoria 1836-1888 "#M3627." [S81] Land Records, Parish Maps & Council Rate Books. ; PROV (Public Records Office Victoria), Land File 720/19.20. [S185] Property Titles. ; PROV (Public Records Office Victoria), C/T 1125-000 - Johan Glismann of Narree Worran Farmer. [S185] Property Titles. 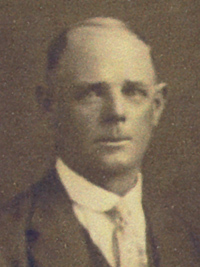 ; PROV (Public Records Office Victoria), C/T 1297-339 - Johan Glisman of Narree Worran Farmer. [S81] Land Records, Parish Maps & Council Rate Books. ; PROV (Public Records Office Victoria), Land File 4282/19.20. [S81] Land Records, Parish Maps & Council Rate Books. ; PROV (Public Records Office Victoria), Land File 12684/19.20. [S185] Property Titles. ; PROV (Public Records Office Victoria), C/T 2308-591 - Johan Glismann of Beaconsfield North farmer. [S3] Registry of Births Deaths and Marriages Edwardian Index Victoria 1902-1913 "#D537 age 68 [par David BRADY & Sarah Ann ARMSTRONG]." [S185] Property Titles. ; PROV (Public Records Office Victoria), C/T 1297-339 - Johan Glismann to Hans Glismann of Beaconsfield Upper Carpenter - C/T 3796-197. [S185] Property Titles. ; PROV (Public Records Office Victoria), C/T 1297-339 - Johan Glismann to Archibald Fullarton Strong of Upper Beaconsfield Orchardist - C/T 3946-141. [S185] Property Titles. ; PROV (Public Records Office Victoria), C/T 1125-000 - Archibald Fullarton Strong - C/T 3946-141. [S4] Registry of Births Deaths and Marriages Great War Index Victoria 1914-1920 "[par Hans Glismann & Menstan Obal]." gives Johan's parents as Hans GLISMANN & Abel MUENSTER (Abel Muenster 1795 - 1862 + Hans Glismann 1790 - 1854). [S11] Newspaper - Argus 30 Mar 1920 p1. [S12] Newspaper - South Bourke and Mornington Journal 19 Oct 1916, p3. [S11] Newspaper - Argus 5 Apr 1920 p6. 24 Feb 1914, IN MEMORIAM. GLISMANN.-In loving memory of our dear mother, who passed away 22nd February, 1913, at Beaconsfield Upper. And none more true and kind. [S11] Newspaper - Argus 24 Feb 1913, p1. [S11] Newspaper - Argus 24 Feb 1914 p1. Death-Notice* 27 Dec 1938 GLISMANN -On the 25th December 1938 at Austin Hospital Hans beloved husband of Harriett Rachael Glismann (Beaconsfield Upper) and loving father of Annie Sarah, John (late RAN), Ellen Frances (Mrs Harris), and Dorothy Jean (deceased) aged 73 years. 21 Jun 1893, NOTICE Help the suffering little ones. A BALL in aid of the CHILDRENS HOSPITAL, will be held in the ASSEMBLY HALL, BEACONSFIELD UPPER, on TUESDAY, 20th JUNE, 1893. Price of admission, including refreshments—3s. [S81] Land Records, Parish Maps & Council Rate Books. ; PROV (Public Records Office Victoria), Land File 12687/19.20. [S185] Property Titles. ; PROV (Public Records Office Victoria), C/T 2308-590 - Hans Glismann of Beaconsfield North Farmer. [S11] Newspaper - Argus 27 Dec 1938 p6. [S12] Newspaper - South Bourke and Mornington Journal 21 Jun 1893, p3. [S11] Newspaper - Argus 29 Aug 1910, p8. [S11] Newspaper - Argus 21 Jan 1939 p6.